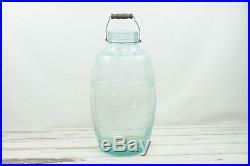 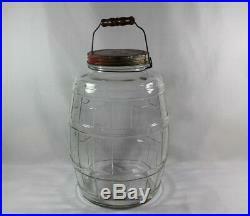 This is a vintage large glass barrel pickle jar with wood and wire bail handle and glass lid. 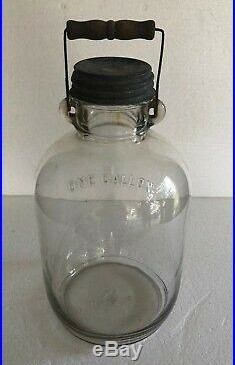 The glass lid fits the jar good but is probably not original. 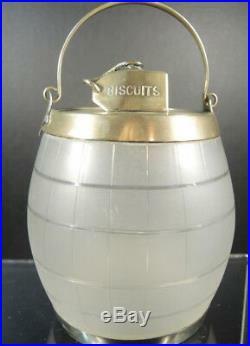 I think the original lid was a metal screw on lid. 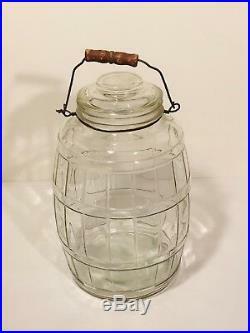 Wood and wire bail handle is weathered and rusty….